Cedar wooden planters have always been the choice wood for planning shrubs or herbs and flowers. The barrel hot tub design used in manufacturing our cedar hot tubs has also become popular for those looking for large indoor or outdoor wooden planters. The cedar barrel planter can be used to house much larger trees than normal wooden planters can handle. What is even more attractive is the planter can be moved! If you grow tired of the location of your tree you can change it around. As a deck planter you can have much bigger trees than normal planters allow. You can even grow potatoes and other root vegetables that require lots of soil depth. Giant planters hold much more soil that regular wooden planters, so they can support the root system of larger trees. 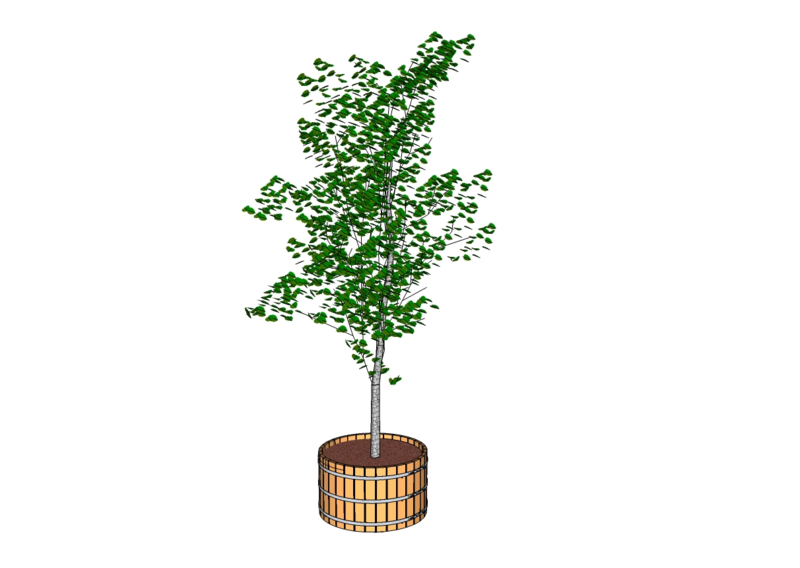 The large amount of soil capacity means the there is also the appropriate base weight for taller tree in windy conditions. Very large planters can sustain almost any type of tree from spruce to palm trees. Another advantage of our large cedar tubs for trees is that 1 ½” thick cedar will not rot or decay like pine or spruce planters. Large wooden planters also will hold much more water for tropical trees such as figs and palms. For more information including pricing off our large wooden planters click here.